Many homebuyers are trepidatious when it comes to building a new home instead of purchasing an older house. It’s a common misconception that building custom is more expensive, but in fact, you will actually save money in the long run. Not having to pay for necessary but costly renovations is one way you’ll be saving, the other is cutting down your monthly bills through high energy efficiency. With advancements in the processes and materials used during new residential construction and a higher concern over protecting our environment, your new custom home in Northern Colorado will have higher energy efficiency than any older homes on the market. Let’s take a look at a few of the ways we’ll help you conserve energy, and why you should contact us to start building your dream home. Not too long ago, utilities weren’t as much of a burden financially so homebuyers didn’t specifically ask for energy efficiency, nor was it a requirement for the builders. The material used in those days was cheap and did nothing to keep the heat or cool air inside. But times have sure changed. With new insulation technology such as reflective panels, spray insulators, and expanding foam ensure that you lose nearly no heat in the winter, and your AC doesn’t have to work double time to keep you cool in the summer. This helps to keep you comfortable, as well as helps you to pay the bare minimum when it comes to your utility bills. Another improvement we’ve seen when it comes to energy efficiency is through the appliances that we use. It’s rare that you don’t see a new appliance without a high energy star rating on it. Throughout their lifetime they’ll cut down on water, gas, and electricity usage, which in turn cuts down your bills. Not to mention, having new appliances in your custom home means that they have many years left before needing a replacement. When you move into an old house with older appliances, it’s likely that you’ll have to purchase new ones soon anyway. 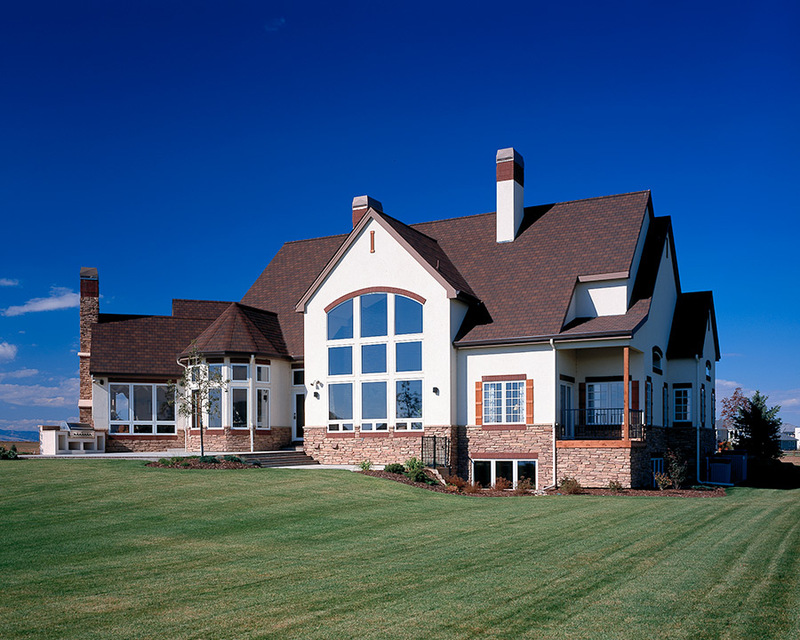 Along with insulation, the material and technology of windows in new homes have also improved. Before going “green” became important, homeowners didn’t think twice about blasting their AC or heat because it didn’t drastically affect the cost of their bills. It was common practice for homes to have single-pane windows with metal or aluminum frames installed. Now, new houses are built with double or multi-paned windows to make sure that you’re not constantly adjusting the thermostat. When you have us build your custom, luxury house in Northern Colorado, we’ll be constructing a home that reduces greenhouse gas emissions and conserves energy by preventing gratuitous energy consumption. But most importantly, you can be proud of the fact that your new residence is helping the environment, as well as saving you money in the end. 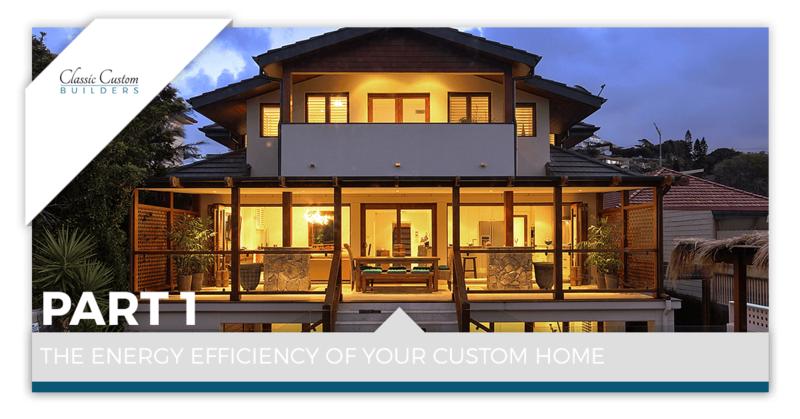 In our next post, we’ll be discussing ways you can improve the energy efficiency of your custom home even more during the build process and beyond. Be sure to contact us today with any questions or concerns. We look forward to working with you!